This memorial website was created in memory of our loved one, Jack Clem Hanlon , 96, born on February 15, 1916 and passed away on December 13, 2012. Where Jack Clem Hanlon is buried? Locate the grave of Jack Clem Hanlon . How Jack Clem Hanlon died? 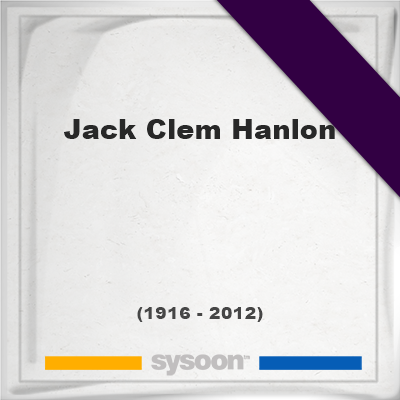 How to find family and friends of Jack Clem Hanlon ? What can I do for Jack Clem Hanlon ? 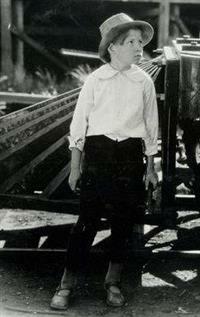 Hanlon was a popular American child actor who became a famous when he acted in Our Gang. He began his film career at age 10. He died in Las Vegas on December 13, 2012. Note: Do you have a family photo of Jack Clem Hanlon ? Consider uploading your photo of Jack Clem Hanlon so that your pictures are included in Jack Clem Hanlon 's genealogy, family trees & family history records. Sysoon enables anyone to create a free online tribute for a much loved relative or friend who has passed away. Address and location of Jack Clem Hanlon which have been published. Click on the address to view a map. Jack Clem Hanlon was born in Fort Worth, Texas, United States. Jack Clem Hanlon died in Las Vegas, Nevada, United States.